Content marketing in healthcare is REALLY hard. 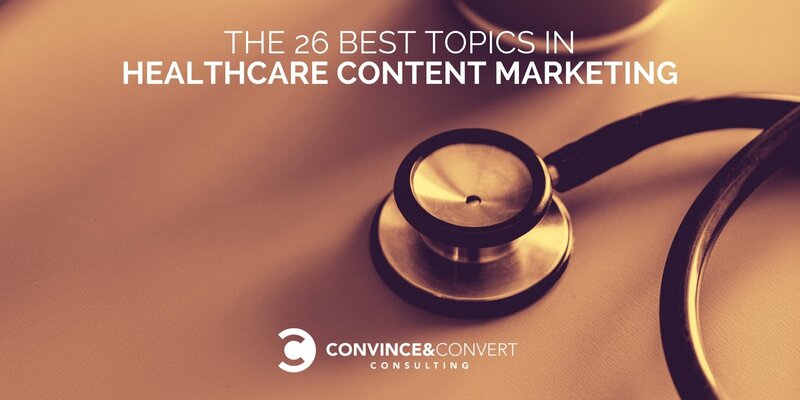 The good news is that healthcare content marketing has a very large audience. The bad news is that competition is fierce, and the breadth of potential topics is almost too vast. Let’s say you’re tasked with building an engaged audience for your healthcare company, using content marketing and related tactics. About what do you create content? Wellness? Food? Maladies? Trends? You can’t be topically authoritative about everything, so what topics do you pick? 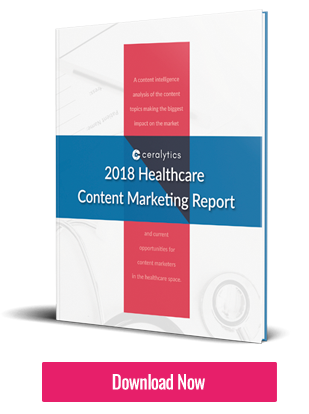 Our friends at Ceralytics shed some light on this tricky question with their new research: 2018 Healthcare Content Marketing Report (grab it at no cost here). In this research, the Ceralytics team analyzed more than 16,000 healthcare topics and evaluated more than three million social shares. They also looked at search engine popularity, web traffic, and other inputs. They also ingested every speck of content from nine very large and prominent creators to see what topics they actually cover day-to-day and the popularity of those topics. Included in the study were Kindred Healthcare (a Convince & Convert client), HCA Today, United Healthcare, Norton Healthcare, Cleveland Clinic, Kaiser Health News, Aetna, CVS, and Mayo Clinic. In the full report, Ceralytics also provides a list of the 26 topics that are actually used most often in content marketing among the nine large healthcare organizations studied. There’s quite a bit of crossover between the lists, but by no means a one-to-one overlap. This indicates that there are still topical opportunities for healthcare content marketers that want to go deep in areas that aren’t as well-covered. For instance, “heart disease” is the most effective topic (see above), but is only the 23rd most commonly used content marketing topic. Health and healthcare/wellness tips rank third in topical demand (see above) but do not even make the top 26 in terms of topics being executed today. That’s an opportunity. From the perspective of topical adjacencies, I find it interesting how many of the top 26 above are related in some way to heart health. Number 1, 2, 7, 9, 10, 13, 17, 18, 19, 22, 23, 24 can all reasonably be connected to heart health. In fact, according to Ceralytics data, 19 percent of all content marketing about “diet” is also about heart disease. In addition, number 1, 13, 18, 23, 24 above are specifically tied to heart health. Based on this analysis, which should of course be buttressed by your own research, if a healthcare brand asked me and the strategy team at Convince & Convert where to focus content marketing efforts, I would initially look to do a deep dive on all things heart health-related. Thanks much to Ceralytics for this report. Take a peek at the whole thing here.